It seems that everyone wants a chunk of legal sports betting benefits in the US now. The US Supreme Court’s ruling in favor of New Jersey in the state’s lengthy sports betting case lifted the federal ban on the operations which was imposed by the Professional and Amateur Sports Protection Act of 1992 (PASPA). As a result, all states in the US are now able to decide for themselves whether to add legal sports betting operations to their gambling sectors or not. Since the US Supreme Court gave the green light to sports betting, seven states have expanded their gambling markets by adding it, and no less than fourteen other states are considering legalization. 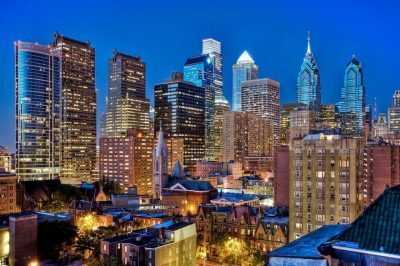 One of the states which have most recently added sports betting to their gambling industry is Pennsylvania. Until a couple of weeks ago, it has been more than two and a half decades for the state of Pennsylvania since the last legal sports bet was placed. In the middle of November, the state started offering legal sports bets and became part of the states which have already expanded their gambling sectors. It may be too early to say what revenue will sports betting bring to Pennsylvania, but the new form of gambling has been welcomed with a lot of excitement at local casinos. The Hollywood Casino at Penn National Race Course was the first in Pennsylvania to start taking sports bets, with three more local casino venues still preparing to start offering a sportsbook service in the upcoming weeks. As reported by CasinoGamesPro, shortly after sports betting became legal in Pennsylvania, the state of Rhode Island also saw its first legal sports bet made at Twin River Casino. The step made it the last one of the seven US states that have opened their gambling sectors to sports betting so far. 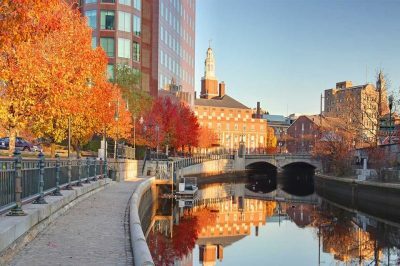 As revealed by the state’s officials, Rhode Island has projected that sports betting would generate an additional revenue worth $11.6 million in the next six months. The state of Pennsylvania, on the other hand, has projected a considerably higher amount to be contributed to the state’s coffers. Sports fans have also been excited about the new form of gambling allowed in some US states. Before the US Supreme Court’s decision to lift the federal ban, many people were used to making bets with black market sports betting websites of various offshore companies, which could not ensure that the best protection for players is provided, and money transactions were often too slow and risky. Now, sports fans have been glad that they would be able to place legal sports wagers in the states which have already greenlighted the new form of gambling without being concerned that they are breaking any state or federal laws. The number of states to legalize sports betting in 2019 is expected to increase, so more US customers are to probably get involved in sports betting operations in the months to come.